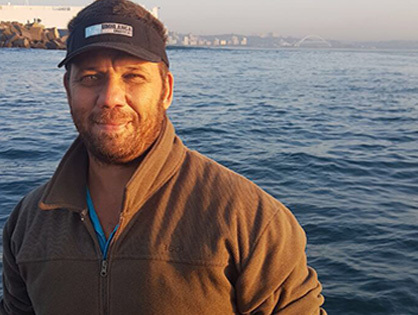 Umhlanga Ocean Charters features a range of memorable experiences which are completely coordinated by exceptionally qualified skippers who are dedicated to providing you with the best possible experience, be it whilst fishing OR just riding along in the boat! “Umhlanga Ocean Charters II” is a 19ft Yeld Cat, fitted with 2 x 80HP Yamaha motors and is equipped with top of the range rods and reels from “The Kingfisher” to ensure your fishing experience is of the utmost quality. There is nothing quite like watching whales breach on the horizon, except of course being on the horizon with those whales which is why our team has the expertise to show you these magnificent creatures up close & personal. We only take out a maximum of 4 anglers per trip in order to ensure that you have the skippers’ full attention at all times. 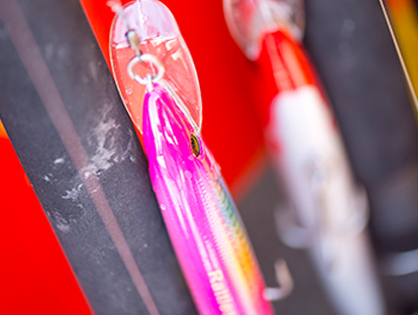 Each angler will be supplied with their own rods to enable equal opportunity of hooking that “BIG CATCH”. Our Deep-Sea Fishing Charter is for those anglers who are seeking a Unique Durban Fishing Charter on a neat and comfortable boat fitted with high-quality equipment and tackle, together with the personal assistance and guidance of our skipper and angler. We aim to give you a more personal, comfortable and memorable fishing experience. Tips & Tricks for Fishermen! Experience our awesome promotions this season and SAVE on awesome sea voyages with our professional skippers. We would like to take a moment to acknowledge our team of exceptional skippers who work tirelessly to make your trip memorable. Our charters feature professional fishing equipment from the “King Fisher” brand. Only The best for our patrons! 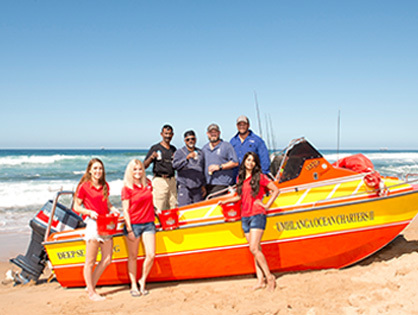 Umhlanga Ocean Charters Mission is to provide outstanding service with our exciting Boat Trip adventures, Deep Sea Fishing Charters, and an experience of the Indian Ocean in a safe and professional manner. Whether you are a fisherman OR a tourist, you’ll LOVE Our tailor-made sea voyages.